© Reuters. Tesla faced a wild end to the week with two executive departures. The start to a new month brings with it a deluge of data, including the all-important employment report, which (unsurprisingly) proved to be the big economic event of the week. The for August augured strong economic growth. But markets were spooked by an acceleration in wage inflation, which boosted expectations for the Federal Reserve to hike rates twice more this year. Beyond the creation of in August and a holding near 18-year lows, the focus was on the 2.9% increase in , its fastest since April 2009. Although a was already fully priced in for the Sept. 25-26 Fed meeting, odds for an additional increase in December rose to about 76% compared to 70% ahead of the report, according to Investing.com’s Fed Rate Monitor tool. Tesla (NASDAQ:) continued to give investors fits. 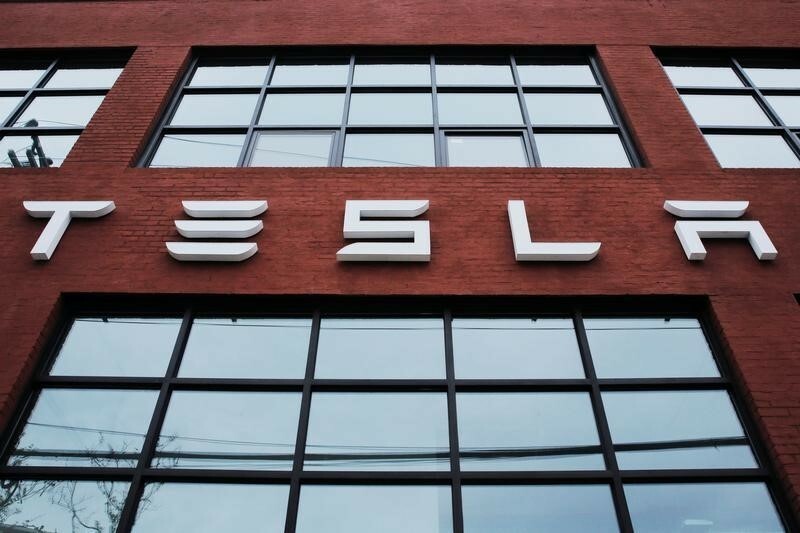 Before the bell Friday, the electric car maker announced in a regulatory filing that its chief accountant would be leaving after one month on the job. Shortly after that, its head of HR told Bloomberg she would not be returning from a leave of absence. This news came after social media was abuzz with video of Musk smoking marijuana (legal in California) and drinking whiskey on a podcast. It was a wait-and-see week for Wall Street on the trade front. The market waited, but never quite saw. On Friday, President Donald Trump signaled a willingness to slap additional tariffs on goods from China “very soon.” Investors had been expecting Trump to pull the trigger this week based on published reports. Earlier, White House economic adviser Larry Kudlow said Trump won’t make a decision until officials evaluate public comments on the tariffs. There were also no new developments as Canada negotiated with the U.S. about a revamp of NAFTA. Shares of Nike (NYSE:) were active this week as the company was subject to . Over the long weekend, the company unveiled former NFL quarterback Colin Kaepernick as on of the faces of its “Just Do It” ad campaign. Kaepernick is the most-well-known athlete who protested racism by kneeling during the national anthem before games. The president has been very vocal in his displeasure about athletes kneeling during the anthem, calling for them to be fired or suspended. Shares of Nike sold off sharply to start the week. But they recovered some of those losses by the end. Nike ended the week about 2.3% down from last Friday’s close. Social media stocks were hit this week as executives facing questions on Capitol Hill gave investors an excuse to take some profits. Twitter (NYSE:) CEO Jack Dorsey and Facebook (NASDAQ:) COO Sheryl Sandberg testified on election interference and moderating content, including charges of censorship. Both Sandberg and Dorsey defended their efforts in preventing abuse of their platforms and conceded that they have since stepped up efforts to stop online election meddling following Russia’s interference in the 2016 U.S. election. Still, lawmakers appear to be leaning toward the need for further regulatory scrutiny on tech companies. Attorney General Jeff Sessions will meet with state attorneys general later this month to express concerns that tech companies may be hurting competition and limiting free exchange of ideas on their platforms. Facebook, Twitter and Google parent Alphabet (NASDAQ:), which chose not to send a representative to the hearings, ended lower for the week.